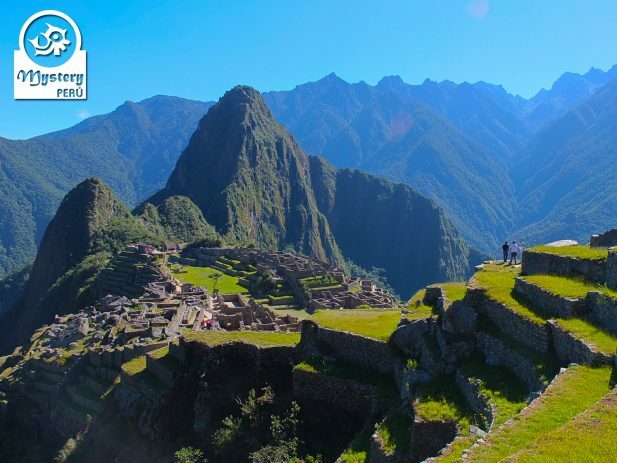 Hike the Short Inca Trail and discover the wonders of Machu Picchu. Visit the Sacred Valley and its magnificent temples. Day 2º: Travel to Cusco. Welcome to the Inca Capital. Overnight in Cusco. Day 5º: Travel to the km 104 to start the Short Inca Trail – Camping in Wayllabamba. Day 7º: Flight back to Lima. Overnight in Lima. Day 8º: Departure Day. At the designated time pick up from the hotel and transfer to the Lima airport. 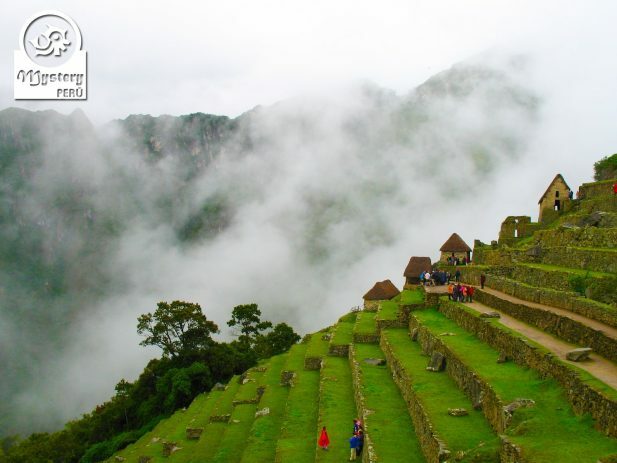 Our program Inca World – 8 Days trip is subject to availability. Day 1º: Welcome to Lima. Upon your arrival in Lima, a representative from our Travel Agency will meet you at Lima's airport. Afterwards you will be transferred to your hotel at the residential zone of Miraflores. Overnight at the Hotel Casa Andina Classic Miraflores Centro *** or similar. What is included on this day? Accommodation at the Hotel Casa Andina Classic Miraflores Centro ***. (1 Matrimonial or Double standard room). Day 2º: Flight to Cusco. At the designated time you will be picked up from your hotel in Lima by our representative and then transferred to the airport where you will take a plane to the city of Cusco. The flight will last about one and a half hour approximately. Upon you arrival in Cusco airport (3300 m.a.s.l.) you will be met by our representative and then transferred to the hotel. The rest of the day will be free for you to acclimatize to the altitude in Cusco. Overnight at the Hotel Casa Andina Classic Cusco *** or similar. Accommodation at the Hotel Casa Andina Classic Cusco***. (1 Matrimonial or Double standard room). Day 3º: Cusco City Tour. “ Sacsayhuaman Ruins, Qenko, Puka Pukara, Tambomachay, Koricancha Temple & Cusco Cathedral”. The morning is free for you to explore the great Inca Capital of "Cusco". This gorgeous city lies at the head of the Sacred Valley of the Incas, at the heart of the Andes. In Inca times Cusco was a Holy City, a place of pilgrimage, a sacred place the Incas themselves believed was "The Navel of World", thus its real name "Qosqo". Nowadays Cusco is a fascinating mix of Inca and Colonial Spanish architecture; colonial churches, monasteries, convents and Inca remains are found at every corner, many streets are lined with perfect Inca stonework's, which served as foundation for most Spanish constructions. 13:30 hrs. 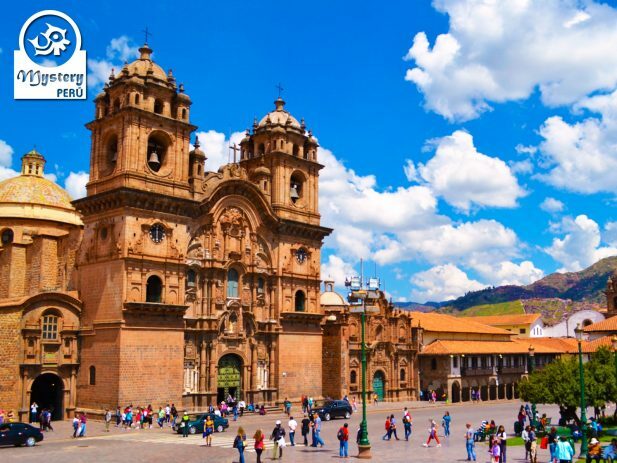 In the afternoon we will do a City Tour, visiting the City's Highlights located in and around Cusco. We start off by visiting the huge "Inca Ceremonial Center of Sacsayhuaman". This enormous structure overlooks the city of Cusco. Its constructions are amazing, with huge rocks perfectly fitted. It is said that it took 20,000 workers 50 years to build it. The origin of Sacsayhuaman is uncertain. The archaeologist attributed its construction to the Period of the Inca Pachacutec (in the Inca language Pachacutec means Cataclysm or He who transforms the world), the man essentially credited with founding the Inca Empire. Later on we will visit another important Inca site known as "Qenqo". This is a place with subterranean passages and carved stone channels in a zigzag pattern. In its inner part there is a carved stone table where it is said the Incas mummified their dead. Afterwards we will do a short visit to the archaeological Inca site of "Tambomachay", a temple dedicated to the God of Water. After these visits, we will return to Cusco, where we will visit one of the most sacred Inca buildings, "The Temple of Koricancha". Koricancha was the most important temple of the Inca Empire. According to archaeologists it housed over 2000 priests and attendants. Here religious ceremonies were constant and offerings to the Gods and the Inca's ancestors were made each day. Finally we will visit the beautiful "Cathedral" of Cusco. This enormous Cathedral was built in the XVI. It contained nearly 400 colonial paintings, including many from the Cusco School, which was prominent in the 17th century. Among them a painting of the Last Supper by Marcos Zapata, showing Christ and the apostles about to dine on guinea pig (Guinea-pig was the main course at sacred feasts in Inca times). After our city tour our local guide will drop you off at your hotel. Free evening. Overnight at the Hotel Casa Andina Classic Cusco *** or similar. City tour of Cusco + all entrance fees. Accommodation at the Hotel Casa Andina Classic Cusco ***. (1 Matrimonial or Double standard room). Day 4º: The Sacred Valley of the Incas.” Ruins of Pisaq, Pisaq Indian Market & Ruins of Ollantaytambo”. Today we will visit the Sacred Valley of the Incas, with the traditional "Andean Market of Pisac", as well as the "Inca ruins of Pisac" and "Ollantaytambo". Our tour starts early in the morning. You will be picked up from your hotel at 08:30 hrs. Afterwards we will take a road that winds over the mountains north of Cusco. On the way we will stop at a point known as El Mirador, from where you will be able to make out the whole Sacred Valley and receive a good insight of the Inca history.The Sacred Valley was undoubtedly a key area of settlement to the Incas; its combination of agreeable climate and fertile plains bestow an unusual abundance for the high Andes. Here the Incas sculpted the mountain flanks with vast contour terracing and irrigation works. Our driver and guide will suggest you the best points for pictures. Later on, we will drive towards the ruins of Pisaq. At the ruins you will see and learn about different aspects of Inca culture. You can see a great fine art of stone works and impressive agricultural terraces all over the place. After touring around we will get back to the car and will drive back to the modern town of Pisaq, where there is a peculiar market that deserve to be visited. At the market you will have free time to walk around and do some shopping. Afterwards we will meet for lunch in a nice local restaurant to enjoy good Andean food. After lunch we will continue our tour at the zone of Ollantaytambo. Once we get there we will visit the ruins of Ollantaytambo. This is an extraordinary Inca place where besides the ruins you may also see an amazing rock formation representing the Inca god Wiracocha. After touring around Ollantaytambo we will go to our hotel. Overnight at the Hotel Pakaritampu *** at the little village of Ollantaytambo. 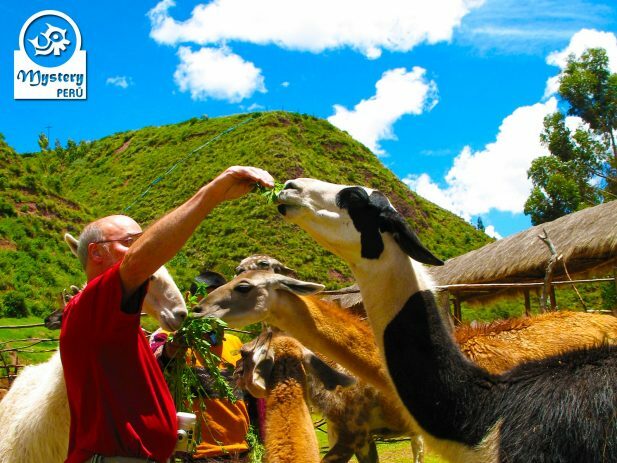 Sacred Valley tour + entrance fees. Lunch buffet on the Sacred Valley. Accommodation at the Hotel Pakaritampu ***. (1 Matrimonial or Double standard room). Day 5º: Short Inca Trail to Machu Picchu. 08:00 hrs. You will be picked up from your hotel in Ollantaytambo and then transferred to the train station to board the train that will take us to the Km. 104 on the Cusco – Machu Picchu Railway (at this point we will start our trek). We will reach Km. 104 around 09:30 hrs. On this point we get off the train and start our journey crossing the Willkamayu River (Urubamba River) using a spectacular bridge (cable and wood made). 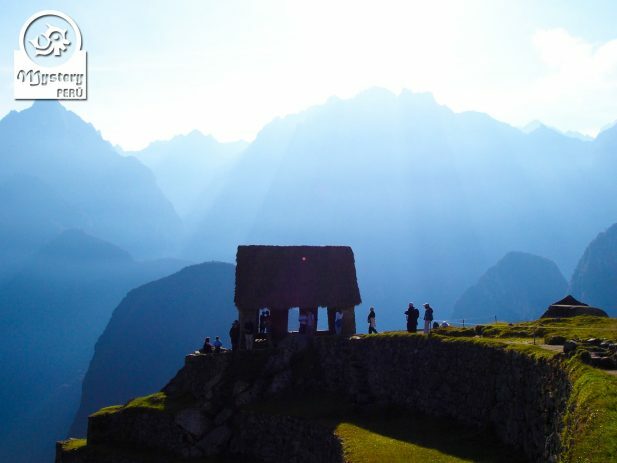 We start the trek visiting the famous Inca Sanctuary of Chachabamba, a beautiful palace with interesting Inca architecture with large rooms and walls. After having a proper introduction of Inca History, we will climb up a trail of roughly 8 km. (4 hours), and afterwards we will reach the archaeological site of Wiñaywayna (2700 m), second only to Machu Picchu in beauty. 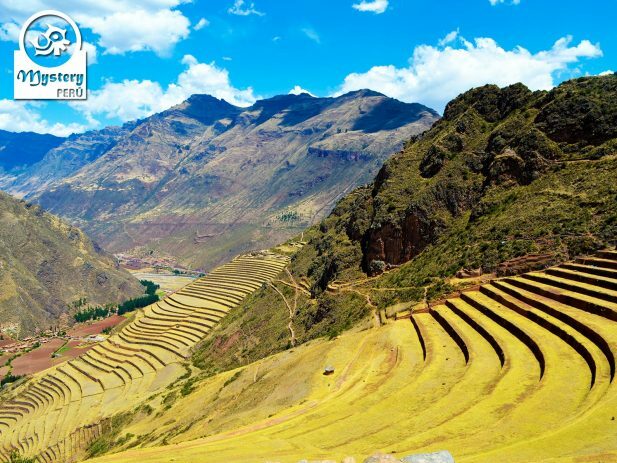 This fantastic site is a perfect example of Inca terrace farming, and it was probably an experimental laboratory for agricultural purposes in Inca times. The name Wiñaywayna comes from a name given to a beautiful orchid typical in the zone, and it means FOREVER YOUNG. We will have lunch near this site. Later on we will continue our trek, crossing the cloud forest through a narrow path till we reach the Inti Punko (Sun Gate). 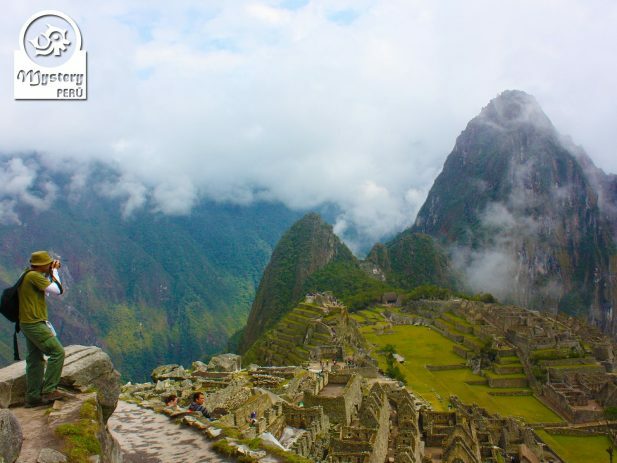 At this spot you will have a great view of the most beautiful Inca Citadel of Peru, “Machu Picchu”. This is indeed a special point where most of the hikers gather to get the best photo of this gorgeous sacred city. Afterwards we will descend towards Machu Picchu. Upon our arrival you we will have some free time to enjoy a spectacular panoramic view of Machu Picchu, and after some group photos we will get off the sanctuary. (please note we will not do the guided tour on this day, but on the second). Finally will go down to Aguas Calientes, where we will spend the night. On this evening you might go to relax at the hot springs located at the upper section of Aguas Calietes or just chill out in the streets of this charming village. Overnight at the Hotel Santuario *** or similar.e. Pick up from your hotel in Ollantaytambo and transfer to the train station. Meals (01 Lunch - 01 Dinner). Accommodation at the Hotel Santuario ***. (1 Matrimonial or Double standard room). Day 6º: Welcome to Sacred Citadel of Machu Picchu - Return by train to Cusco in the afternoon. In order to enjoy a peaceful atmosphere in Machu Picchu, it is advisable to go there early in the morning; therefore we will leave at 5:30 hrs. Our guide will take you to the local station to catch the bus that goes up to the ruins of Machu Picchu. The bus ride to the sanctuary of Machu Picchu lasts around 20 minutes and it follows a steep winding path, offering spectacular views of the surrounding mountains. Upon your arrival, our guide will show you the most important sectors of this great Inca City, such as the great Intiwatana (solar clock), the Sun Temple, the urban sector, the agricultural sector among others. Machu Picchu was long thought to be legendary. 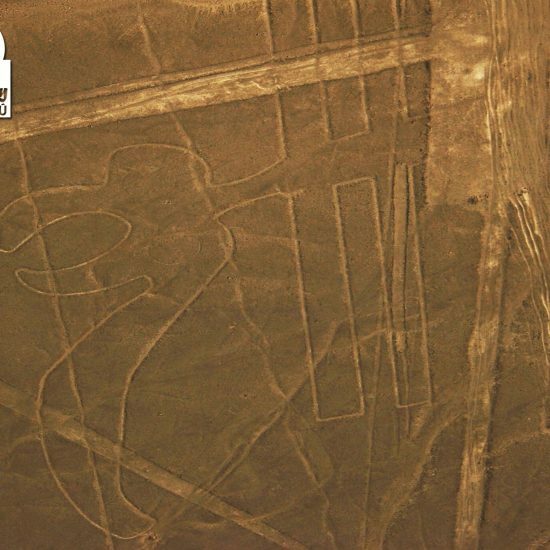 Then in 1911, the explorer Hiram Bingham stumbled upon it remains. Machu Picchu stands 2,430 m above sea-level, in the middle of a tropical mountain forest, in an extraordinarily beautiful setting. It was probably the most amazing urban creation of the Inca Empire at its height; its giant walls, terraces and ramps seem as if they have been cut naturally in the continuous rock escarpments. The natural setting, on the eastern slopes of the Andes, encompasses the upper Amazon basin with its rich diversity of flora and fauna. 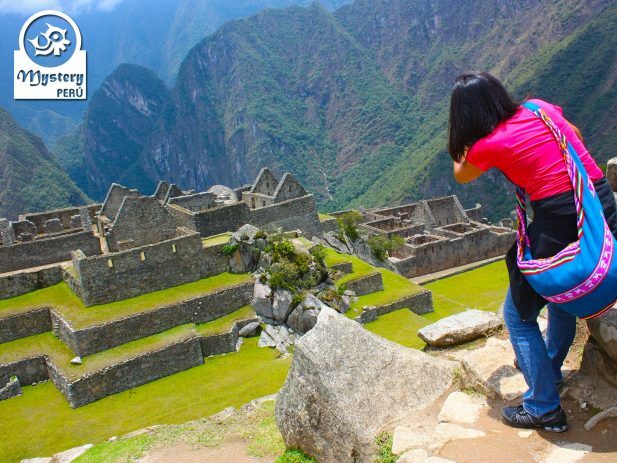 The guided tour in Machu Picchu will last about 2 hours, and afterwards you will have free time to explore the ruins on your own, and if you wish, you might climb the Huayna Picchu Mountain, the huge mountain that appears on the background in every classic picture of Machu Picchu. It takes about one hour or so to get to the top, following very steep stairs, though is a little hard, at the top you will be rewarded with one of the most impressive views in your lifetime. Later on, we will take the bus down to Aguas Calientes, where you will have time for lunch and also to explore the many craft shops in Aguas Calientes. At Aguas Calientes, if you wish, you can go to relax in the thermal baths. The hot springs are located on the upper section of the village; visitors may ask their local guide how to get there. Finally, at around 16:00 hrs, we take the train back to the city of Cusco, arriving there after nightfall. Upon your arrival you will be picked up by our representative and then transferred to your hotel. Overnight at the Hotel Casa Andina Classic Cusco*** or similar. 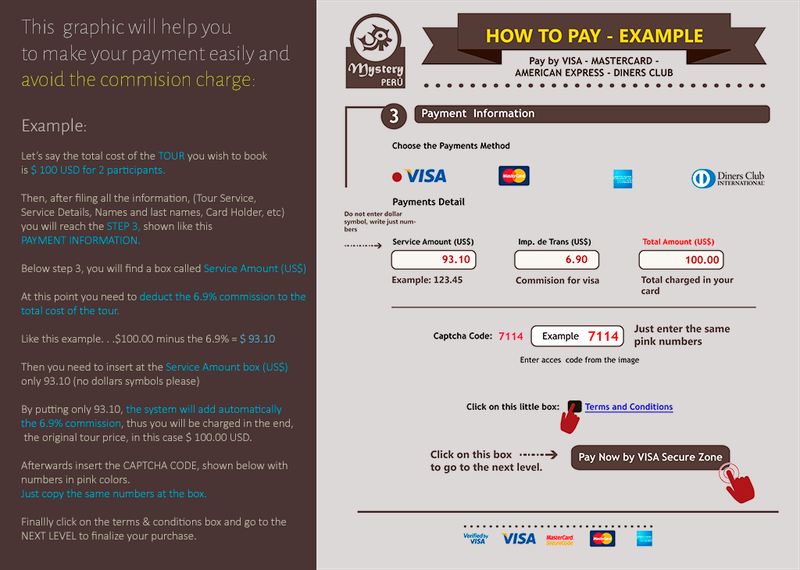 Guide visit in Machu Picchu + entrance fees. Return to Cusco by train. Backpacker train service. Pick up form the train station and transfer to the hotel. Accommodation at the Hotel Casa Andina Classic Cusco***. (1 double standard room). Day 7º: Flight back to Lima. 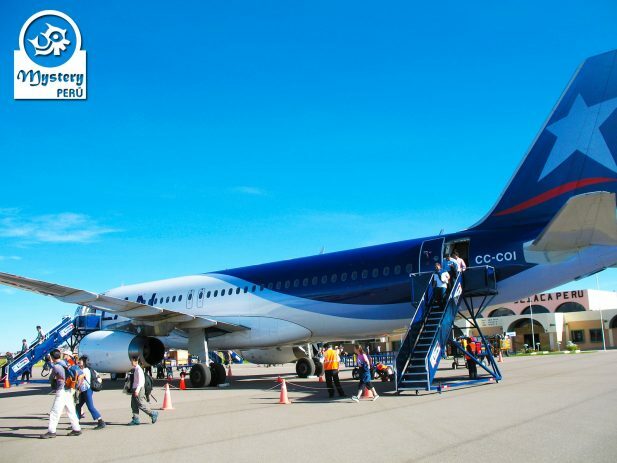 At the designated time, you will be picked up by our representative from your hotel in Cusco and the transferred to the airport to take the plane to Lima. Upon your arrival in Lima you will be met by a representative from our agency, and then you will be transferred to your hotel in the residential district of Miraflores. Rest of the afternoon free. Overnight at the Hotel Casa Andina Classic Miraflores Centro *** or similar. Pick up from the hotel in Cusco and transfer to the airport. Flight tickets from Cusco to Lima. Accommodation at the Hotel Casa Andina Classic Miraflores Centro***. (1 Matrimonial or Double standard room). At the designated time you will be picked up from your hotel and then transferred to the airport of Lima. End of our service. This program leaves from the city of Lima.